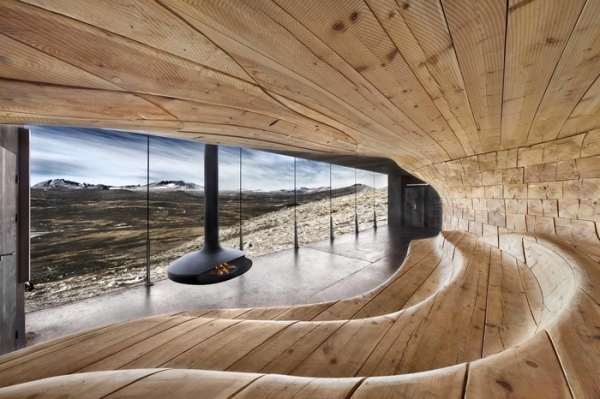 Drawing on the striking sensibilities and delightfully deft manipulation of materials that sets them apart, architects Snøhetta dazzle with their designs for the Norwegian Wild Reindeer Centre Pavilion ‘Tverrfjellhytta’. 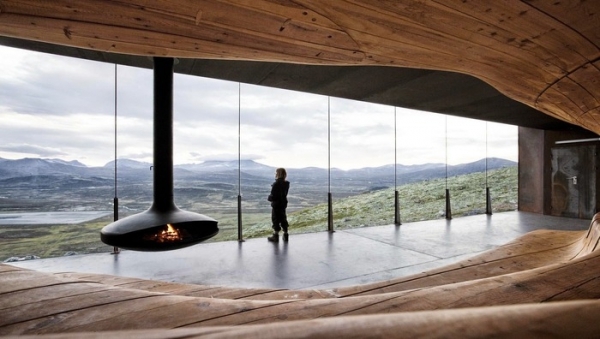 Located 1250 meters above sea level, the pavilion sits perched atop stunningly picturesque landscapes that resonate through the silence of Nordic design and aesthetic, as translates into this spectacular architecture. 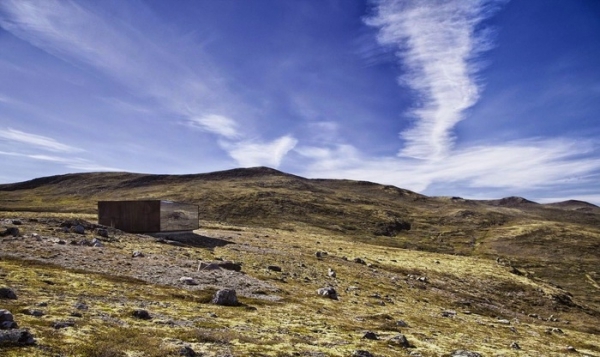 Built on the outskirts of Dovrefjell National Park in Hjerkinn, Norway, the 90 square meters pavilion looks out onto the Dovre Mountain Plateau – a physical icon of Norwegian natural, cultural and mythical landscapes. 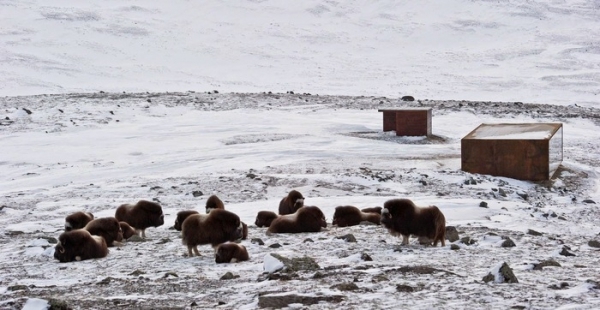 The building, doused in the serenity and stillness that permeates through this region, is articulated as an abrupt introduction into the natural topography. Built of raw steel and glass, it takes on a crisp yet agile vocabulary that hints at human presence without being loud. 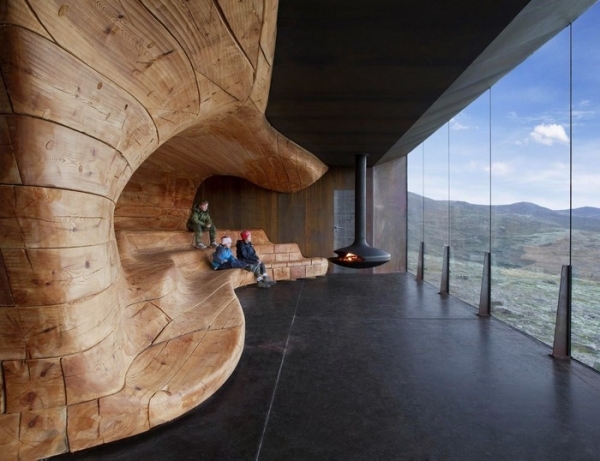 The interiors of the building are however a whole different story, rendered in the sinuous and supple contours that sculpt the natural geography of the region. 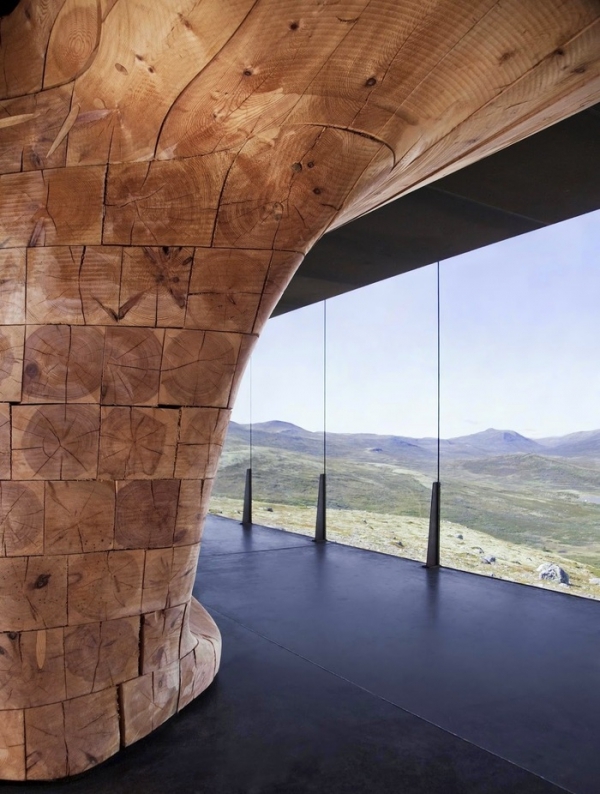 Rendered in warm and tactile wooden forms, the interiors emerge as an almost natural extension to the landscapes beyond it. 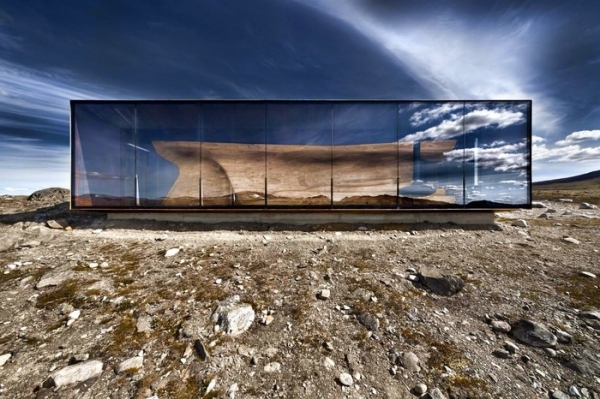 The steel and glass outline therefore translates into a diaphanous membrane, framing the inhabited from the uninhabited. 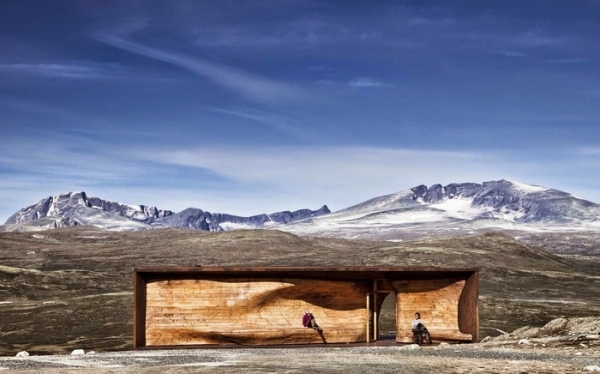 Embodying a Scandinavian organic, the spectacular architecture of the Tverrfjellhytta triumphs in its ability to silence visitors into establishing intimate conversations with nature, all the while accommodating the tourist activities that drive its presence.